As a homeowner, there are times when you might hear some unusual sounds that you cannot identify. Houses make noises, and that is normal. Sometimes a sound might be telling you there is a problem that needs to be corrected. When you hear plumbing sounds, you need to be able to identify them and get a plumber out if needed. What appears to be a minor plumbing problem could lead to major damage to your home. What could be repaired for a minimal fee could result in thousands of dollars of water damage to your home. You want to be able to identify issues early on, so you can make sure you take care of the issues timely and properly. Here are some of the most common plumbing sounds you will hear in your home, and what you should do about them. Remember, addressing the problem right away is always important. Call a George Brazil Plumbing to take care of your plumbing noises. If you hear a banging noise when you turn the water on in your home, it needs attention. Plumbers refer to this noise as a water hammer. When a closed valve stops the rush of water through a pipe, a water hammer occurs. In addition to the banging noise, it can loosen joints and damage pipes. A plumber will need to clear the chambers in your pipe valves and replace any parts that are damaged. When water runs through pipes, they bounce and that is only normal. If these shaking pipes make sounds loud enough to be heard, the culprit is most likely pipes aren’t secured tightly enough. 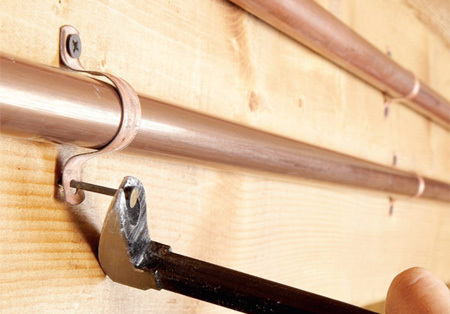 The shaking noise means the mounting straps for securing your pipes have loosened, so you will need to tighten the straps or replace worn or loose parts to alleviate the problem. If there is a noisy vibration from the wall area behind your commode, there are problems. When the toilet valve arm is lifted, if you feel vibrations the fill valve will most likely need to be replaced. The fill valves can become dried out, damaged or broken with use. If your drains gurgle, it is caused by a clog that keeps water from making its way down the drain. If you hear gurgling from any drain, there is a drain vent problem. Drains must be vented to prevent air bubbles, so call a plumber. If you turn on your faucet and hearing a screeching sound or a high-pitched whine before the water starts flowing, there is a defective or loose part in the faucet. Replace the faucet to fix the problem. A distinct hissing noise might be accompanied by increased water bills. This is usually an indicator of the water pressure being too high. This can be fixed with the installation of a pressure regulator to make sure the PSI is within the normal range. Water heaters require routine maintenance to prevent sediment buildup. Limescale and sediment will line up in the heater mechanism and along the sides of the inner water tank. If your water heater is making loud knocking or rumbling sounds, you should call a plumber and have the problem corrected. Otherwise, it will take longer for water to heat. 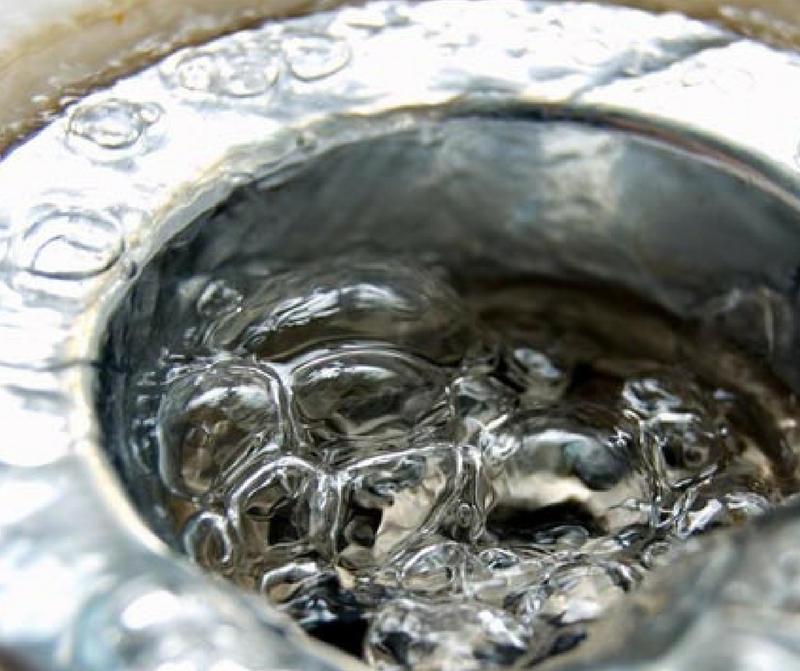 Be attentive to your home’s plumbing system. If there are strange noises, be sure any problems are promptly and properly addressed. 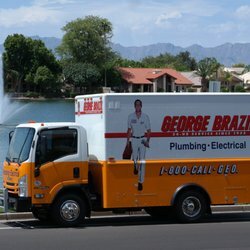 If you are hearing strange plumbing noises in your Phoenix area home, call George Brazil Plumbing and Electrical, Since 1955, we have offered around the clock service because we understand emergencies happen at any time. We understand that some plumbing issues cannot wait, so we offer a fast response. Call (602) 257-9000 today to schedule service.